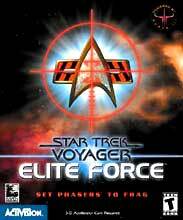 Synopsis: This game chronicles the story of the starship U.S.S. Voyager, and the crews efforts to return home to the Alpha Quadrant. Voyager is alone, with very little allies and a substantial amount of enemies, old and new. In this game, Voyager is sucked into a vortex full of derelict starships. An alien species is using this dead area of space to steal technology and eliminate various races. In single player mode, you have the option to play as either a male or female character: Alexander or Alexandria Munro. Monro is a Star Fleet ensign who has just recently joined Security Chief Tuvoks Elite Force, a SEAL-type commando group that is specially trained to deal with encounters too difficult for regular crew personnel. 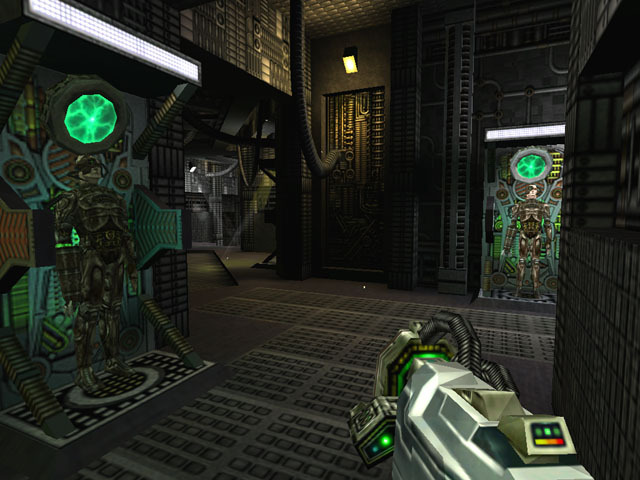 Pros: As a first-person shooter, this game uses the Quake III engine, and it excels. As you progress through the game, you will face various species of enemies such as the Borg, Species 8472, Hirogen hunting parties, and even Mirror Universe Star Fleet personnel. Through out the mission campaign, you will gain different weapons such as the Hirogen hunting rifles, experimental Star Fleet weapons, and even a weapon designed by Seven-of-Nine herself. Progressing through the different stages, the story gets more and more exciting until the end, where the real enemy is revealed. Cons: There are not too many things wrong with this game. The one thing I found really annoying was the tendency of your computer-controlled teammates to step right in front of you during a firefight, and then turn around and beg you not to shoot them anymore. I actually had to backup the game several times because of an accidental death of a teammate. This game could also have been a bit longer, but there is an expansion in the works. You will need some substantial hardware to run Elite Force, but most gamers already have that sort of hardware. Minimum Hardware Requirements: PII 233 or equivalent. 64MB RAM. 3D Accelerator. 650MB Hard Drive space. Sound board. Windows 95 OS. Multiplayer Support: For Local Area Network or Internet, with 1-32 players. Conclusion: THIS GAME ROCKS! Whether you are running through a Borg vessel, or a Hirogen hunting ship, you will never find a shortage of targets to kill. The sniper mode is very nice enabling you to either take out targets from long distance, or just to use it for long-range recon. On a scale of 1 to 10, I rate this game a 9.5, based on completing the single player mode. Enjoy!